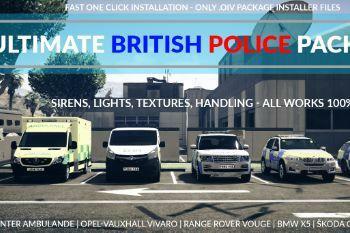 Get all your police vehicles replaced! 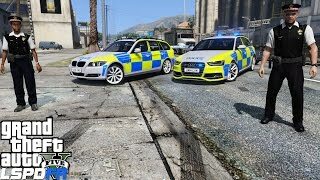 Are you tired of crashing and ruining your game while installing police mod? 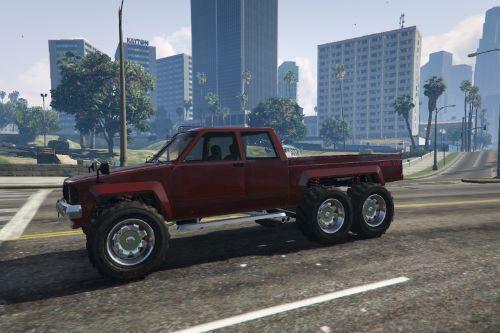 Have you lost your mood to play GTA 5 because the mods ain't working as they should be? Well, I have a solution! 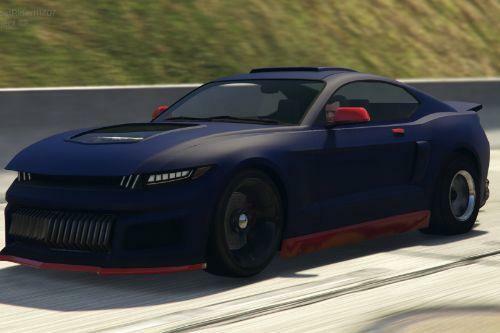 This package would not have born if these modders haven't dedicated so much of their time to creating these perfect looking vehicles. I take NO CREDIT for the vehicle model(s). 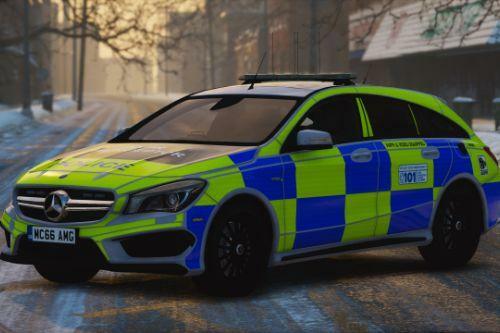 Double Doppler, peng00820, BritishGamer88, Rockstar Games, Dennis, Lucozade010, Humber3D, ChrisR, Tim, Andy Fenner, nicks0112, Vertex, Mathew Cammack, Luke Brazier, Bxbugs123, Forza, Sean Park, yellow1441, dolmat dmitry, 3dwarehouse, 3dgarage.ru, LtCaine, Jayone, Marco Clever, Alabassiry, PriMan, Bleep911, URM, Arkviz, Forza Motorsport, British Officer, ScottehBoyy, WorldMC Game68240, CArcher86, ChrisTuffur, Luke Brazier, EA, Cosmo, Yard1, Sgt. Kanyo, WarStrikeWolf117, c13, Lundy, EVI, LeoAllTheWay and Sergiyj. Notify me if you discover any bugs. - Edited "Credits.txt" and "Installation guide.txt" information files. 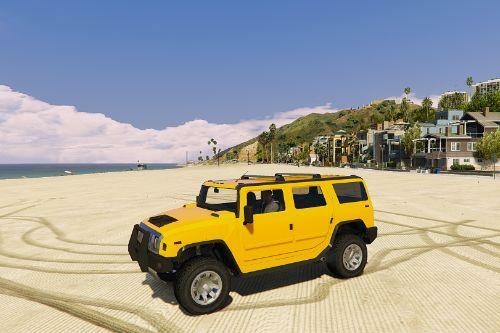 - Added "Riot Lenco Bearcat". - Updated "Credits.txt" and "Installation guide.txt". - Added "Lancashire Fire & Rescue" firetruck. - Added "Met Police Eurocopter" polmav. 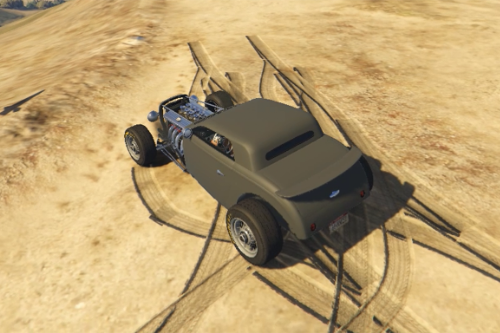 - Compressed all cars together. 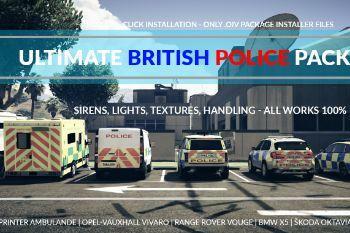 - Created one big file "Ultimate British police pack 1.oiv". - Deleted folders what are not needed. - Created "Package installer (.oiv) files" folder. - Created "Required extra files" folder. - Created "Credits.txt" and "Installation guide.txt" information files. - Created file "Required extra files.oiv"
- Added "BMW 530D (touring)". 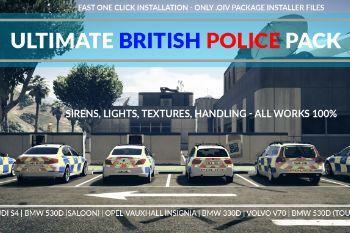 - Added "BMW 530D (saloon)". - Added "Rand Rover Vouge". - Added "Ambulance Mercedes Sprinter Ambulance". I thank everyone for replies and downloads. Also for those, who has problems, I am truly sorry that this package has caused any trouble. I am also sorry that I've been away for a while, but soon I will release a more breathtaking update, so stay tuned! HELP!! - ELS is not working with any vehicle. @Danny41294 fair enough, but it shouldn't literally break everything. that is not how it is meant to work. Can you make an add-on version? is this still working for anyone ? Im about to install and run it but i want to know if its still working and worth downloading ?. 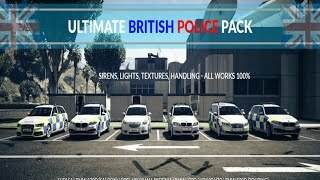 @BritishOfficer Hi, I have just installed your wonderful pack, the only problem i can find is that the siren on the Audi S4 does not work. I can use the lights, but the siren makes a "bloop" noise for a fraction of a second and stops. when we get update from this pack with all the new vehicles???? I need to uninstall this as it crashes my game how do i do it?